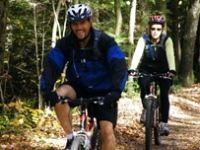 Enjoy the coolest and most challenging bike trails in PA. Be adventurous and ride along mountain bike trails in PA.
An Exciting Mountain Biking Trail in PA! Jim Thorpe is not only known for its top-of-the-line whitewater adventures, but also as a mecca for biking enthusiasts of all abilities! With multiple acres of public land, flat trails, hilly trails, and downhill trails--you will encounter a one-of-a-kind biking experience. Rent a bike and ride out on the wonderful Lehigh Gorge Trail. Jim Thorpe even offers a "rafting and riding" package, where you can enjoy exciting whitewater adventures and mountain biking in one day! At Pocono Biking, you can ride the Lehigh Gorge Trail--a ride that is popular with bikers of every fitness level. 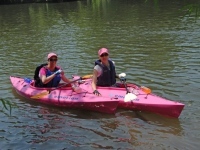 The trail is a gentle, downhill, scenic path that follows the Lehigh River. You can ride for the full day or for half the day. The Full Lehigh Gorge is a 25-mile ride that consists of 3-5 hours of downhill biking. During your journey you will encounter fascinating rock formations, tumbling waterfalls, and beautiful wildlife. When you get hungry, you can stop at one of several picnic spots along the way. For those looking for a more pleasant ride, The Midway Lehigh Gorge is 10-15 miles and lasts about 2-4 hours. One of the Most Scenic Bike Trails in Pennsylvania! 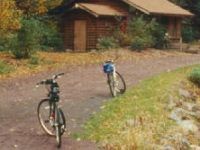 Voted by USA Today as one of the "10 great places to take a bike tour," the Pine Creek Rail Trail is a gem amonst cyclists in the Pennsylvania area. 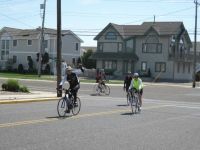 The trail measures over 57 miles, starting in Ansonia and ending in the Jersey Shore. The trail follows along the floor of the Pine Creek Gorge--deemed to be the "Grand Canyon of Pennsylvania." The abundant wildlife in the area includes coyote, deer, eagles, hawks, ospreys, and wild turkeys. If you're looking to make it an overnight trip, campgrounds are available at the north and south ends of the trail, along with several bed and breakfasts. 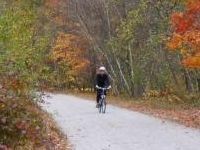 Find Pennsylvania Bike Trails for All Abilities! Allow the Jim Thorpe Experience to customize a ride to your ability, with trail characteristics that best fit your needs. Whether you're looking for easy rail-trail biking, moderate mountain biking, advanced mountain biking, or expert-only mountain biking--JTX has it all! The Lehigh Gorge Trail Ride is a lovely guided tour, where you can learn about the area's fascinating canal and railroad history. The trail ride is available for the full day or half the day. If you're looking to challenge yourself, ride the Broad Mountain Loop--an intermediate mountain bike ride around the top of the Broad Mountain, containing overlooks 700 feet above the Lehigh Gorge. Fun PA Biking Trails for the Whole Family! 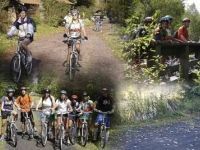 Choose from many different PA bike trails, catering to levels from beginner to advanced, at Blue Mountain Sports & Wear. The Lehigh Gorge Trip consists of 15-25 miles down the scenic 2% downhill grade. The Switchback Trip is an easy 9-mile ride through the woods, past Mauch Chunk Lake, and back into town. Since the bike trips are fun for the entire family, Blue Mountain caters to families and groups with a series of awesome package deals. You can also rent top-quality mountain bikes and ride the shuttle to the trail of your choice. Explore Amazing Mountain Scenery along the Trail! If you're looking for fun outdoor adventures that don't involve getting wet, Whitewater Rafting Adventures also offers a picturesque trail ride through Lehigh Gorge State Park in the Pocono Mountains. Indulge breathtaking scenery, as you coast along an easy riding surface. Whether you're a die-hard biker or someone who hasn't pedaled in years, you'll appreciate one of the greatest rides in Pennsylvania. Choose between a 13- or 26-mile, self-guided tour that winds along the Lehigh River and contains the most amazing mountain scenery. At Whitewater Adventures, you can bring your own bike or rent one of many quality bikes available. One of the Great Pennsylvania Bike Trails! The Great Allegheny Passage (GAP) offers 141 miles of biking between Cumberland, MD and Homestead, PA. Enjoy a smooth ride, along the packed crushed limestone surface. A few bridges take you across the Youghiogheny River at points. When biking, be sure to use a hybrid or mountain bike. Plus, a good saddle makes a world of difference. On average, cyclists tend to cover 7-10 miles per hour and the trail's speed limit is 15 mph. GAP is perfect for afternoon cycling. 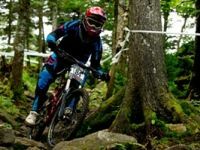 The Best in Downhill Mountain Bike Riding! 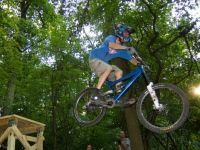 Seven Springs Bike Park's downhill mountain bike terrain contains exciting bike trails full of berms, banks, rock gardens, drops, ladder bridges, table tops, boxes, fall line sections, and 20+ food jumps. Beginners can try the Rock and Roll Trail--a perfectly flowing trail with gentle banked turns, rollers, and junior-sized rock gardens. Stop by the Bike Shop, where you can pick up the latest downhill gear and apparel, as well as other biking necessities. If you're in need of a sweet ride, the shop offers some of the best downhill bikes available! The Best Biking in Lancaster County! A road-based recreational club for cyclists of all levels, the Lancaster Bicycle Club allows you to enjoy the many benefits of organized bicycling in a supportive environment. With your club membership, you participate in rides, attend special events, receive the club newsletter, and get discounts at selected merchants. Since Lancaster County contains hundreds of miles of country roads with almost no traffic, there are many bike routes to choose from. Day trip destinations have included Annapolis, Hershey, and Gettysburg. Cyclists under 16 years of age require the supervision of adult family members on all rides. Bike through the Beautiful Poconos! Experience rail-to-trail mountain biking at its best at Whitewater Challengers! Near Pennsylvania's Lehigh River, Whitewater Challengers lets you ride one of the most popular biking trails in the East, covering up to 25 miles of beautiful Poconos scenery. The Lehigh Gorge Mountain Bike Trail is one of the most gorgeous, serene rides you'll ever experience! You can peddle all the way or start biking at the halfway point. For your convenience, a shuttle ride to the trail is included. Bike from Pittsburgh to Washington, D.C.! Take all sorts of cool bike tours with Wilderness Voyageurs in Ohiopyle, PA! A popular one amongst guests is the Civil War Bike Tour in which you pedal through Gettsyburg, Antietam, and the Monocacy Valley for 4 days and 3 nights. Throughout the trip you will cycle through the spectacular landscapes of rural Pennsylvania, Maryland, and West Virginia. Another popular option is the Pittsburgh to Washington, D.C. Highlight Tour. During your 3-day trip you will experience such fascinating attractions as Fallingwater and Salisbury Viaduct. The tour is perfect for novice cyclists. All tours include lodging, meals, and snacks. 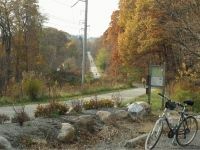 Enjoy the Best PA Bike Trails for a Low Membership Fee! At Valley Mountain Bikers, join a bunch of like-minded cyclists who love to ride their bikes and choose to preserve the sport for future generations. The group rides are for all levels, allowing you to discover the best trails in the area. All it takes is an affordable one-year membership! 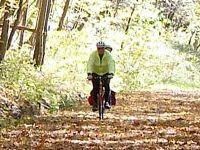 Check the website for a list of bike trails in Pennsylvania and New Jersey, each of which contains visitor ratings and detailed descriptions. If you enjoy racing, VMB also participates at various races and other bicycle events. You can even get helpful advice from experienced racers. Ride the Coolest Bike Trails in Philadelphia! 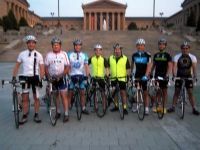 Established in 1979, the Bicycle Club of Philadelphia is a recreational biking group that offers a wide variety of rides throughout PA's Delaware Valley for cyclists of varying levels. The non-profit organization garnered the Best of Philly award for Intramural Sport in 2009. The membership includes an opportunity to ride many cool trails, a monthly newsletter, cycling events, and bike shop discounts. Mountain biking trails in Philly have included locations in Fairmount Park, Pennypack Park, Belmont Plateau, Morris Park, and Cobbs Creek. 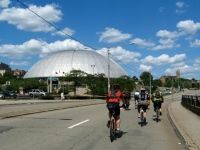 Enjoy Lovely Bike Tours in Pittsburgh! If you've ever yearned to explore Pittsburgh on a bike, stop by Golden Triangle Bike Rental! Find a selection of cool bicycles, available to rent for affordable prices. At Golden Triangle, you can sign up for weekly guided tours, departing Saturdays at 11 A.M. Ride along such landmark locations as Heinz Field, Point State Park, The Hot Metal Bridge, Washington's Landing, PNC Park, Station Square, and Southside Works. The knowledgeable guides will lead you along the safest routes and educate you on the rich history of each attraction. Discover New Trails and New Friends in Pittsburgh! 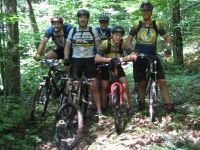 Pittsburgh Off-Road Cyclists allows mountain bikers in the Pittsburgh area to discover new trails, make new friends, and most of all--have a blast! 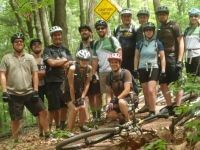 The Pittsburgh bike club offers guided weekly rides, beginner rides, fast-paced and casual rides, parties, camping trips, and bike-related vacations. What more can you ask for? Membership fees are $20.00 for individual riders and $30.00 for families. Your fee will help cover business expenses and provide a variety of nifty benefits (i.e. : discounts at local bike shops, voting privileges on club decisions). Check the website for a list of fun-filled upcoming rides and events. 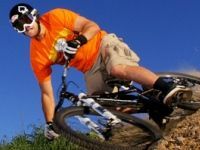 Experience the Most Fun-Filled Downhill Biking in PA! In addition to offering top-quality winter sports, Spring Mountain Adventures is home to the Launch Bike Park. The park is open every Saturday and Sunday during the fall months, from 10 A.M. to 5 P.M. Friend Launch Bike Park on Facebook, if you'd like to keep up to date on its schedule and special events. Before riding, be sure to make yourself familiar with the layout and difficulty ratings of each trail on the mountain. You must use a mechanically sound bike, the appropriate safety gear, and sign a liability waiver. For Quality PA Biking, Make it a High Mountain Adventure! For the most exciting off-road jeep tours and custom mountain biking in PA, choose High Mountain Adventures. With the help of an experienced staff, you are guaranteed to experience a memorable adventure that you can brag about for years to come. Along your journey you will encounter pristine vistas, creeks, gorgeous mountain views, and a variety of spectacular wildlife. Bring your camera, since sightseeing opportunities are aplenty! The custom bike expeditions are perfect for spending quality time with friends and family. Bike tours vary from moderate to expert in difficulty, last 2-6 hours, and cover 3-50 miles. One of the Most Popular Bike Trails in Western PA! Cyclists will love The Montour Trail--a multi-use, recreational rail-trail near Pittsburgh. 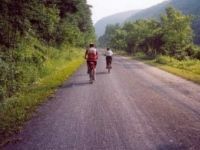 Montour is part of the Great Allegheny Passage, a trail system that stretches over 330 miles from Pittsburgh to Washington, D.C. Paved with a smooth surface of crushed limestone, the trail is perfect for all non-motorized riding. New sections are added to the trail each year. The ultimate goal is to create a continuous 46-mile-long trail, from Moon Township near Corapolis to Clairton. Currently, about 40 miles are complete. 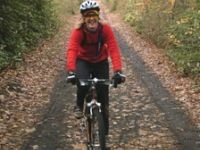 Pennsylvania Biking Trails for All Types of Cyclists! Schuylkill River Heritage Area is ideal for all types of bicyclists. If you prefer challenging mountain biking trails in PA, several of the Heritage Area's state parks and other area trails are ideal for off-road adventures. For Pennsylvania bike trails that are suitable for all members of the family, try the Schuylkill River Trail or the Perkiomen Trail. For a particularly scenic trail, there is a 6.5-mile piece of the Schuylkill River's Bartram Section that stretches from Hamburg to Auburn. Ride during the spring or early summer, when all the wildflowers are in bloom. Some of the Best Biking in Western Pennsylvania! Take a trip to Presque Isle State Park, and experience some of the best biking Western PA has to offer. The Karl Boyes Multipurpose Trail travels a flat 13.5-mile loop around the park. Following Presque Isle Bay and returning along the lakeside, it's a popular spot for cyclists in PA.
Cherish incredible views on both the bay side of the peninsula and the beach side. Depending on your pace, you can finish the trail in 40 minutes to an hour. Bicycles are available to rent at the Waterworks Pumphouse area.